Where have you been all my life, bottarga? After reading about this Italian method of salting and curing mullet roe, I knew I had to try it. 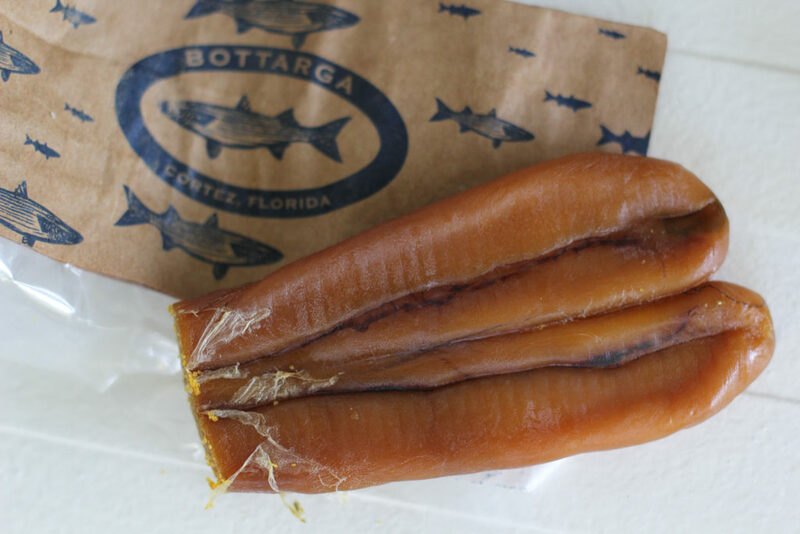 My family has always enjoyed some fried mullet roe, but I’d never even heard of bottarga. I love the idea of turning the roe of the humble mullet into a delicacy in the realm of caviar. Besides it’s roots in Italy, you can find similar methods for preserving mullet roe in France, Greece, Japan, and Taiwan. There are Egyptian murals of fishermen executing this process dating back to 10th century B.C. 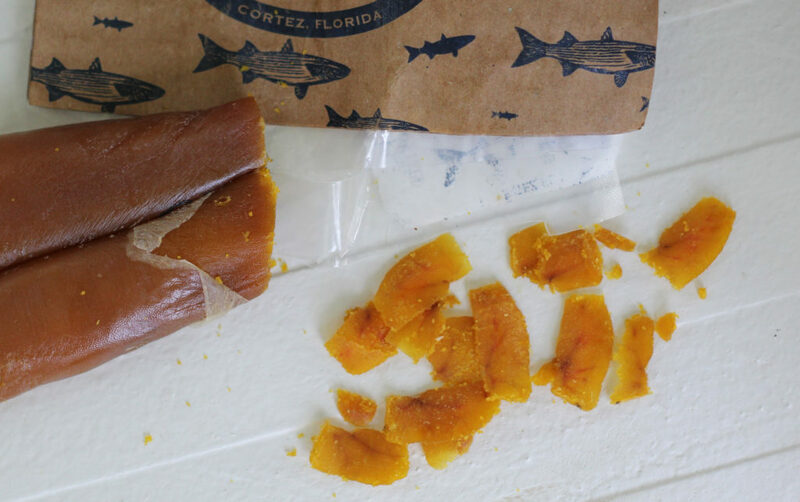 Even Spanish explorers wrote of Native Americans salting and drying mullet roe in the Florida sun. Somehow the art of salt-cured roe faded with time here. That’s not to say mullet roe isn’t harvested; quite the contrary. No fishermen worth his salt would toss a golden, plump, intact egg sac from a mullet. When they don’t end up in the fryer, they fetch high prices for export. But processing bottarga has long been forgotten in these parts. The Anna Maria Fish Company in Cortez is changing that, and others have followed suit. Unfortunately it’s still not easy to find it. I spotted it on the menu at Locale Market in St. Pete. Since there’s a seafood market downstairs, I figured they’d have some for sale. Nope. But I asked the fishmonger and he asked the chef, and they agreed to sell me some. It’s shiny and burnt orange on the outside; bright gold in the center. It’s firm. There’s a very thin casing which you peel back as you use it. You can thinly slice it with a vegetable peeler or grate it just as you would Parmesan cheese. As for taste, it’s salty, briny, and fishy. 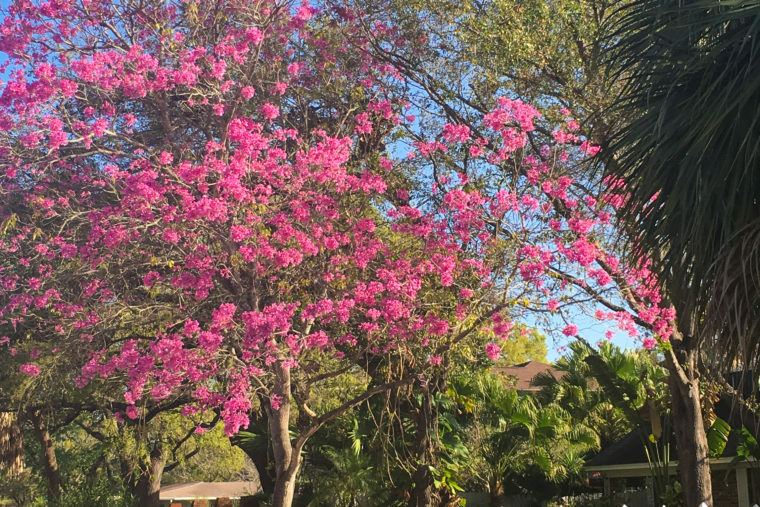 I found it instantly familiar, like the taste of swimming in the Indian River Lagoon, whiffs of mullet in a smoker, a hint of seaweed baking on the beach. Pungent, yes, but in the most delicious way. If you find some bottarga, be brave and bring it home. A little goes a long way, and thanks to the way it’s preserved, it can last up to a year in the fridge. I think a Caesar salad is the best place to start. 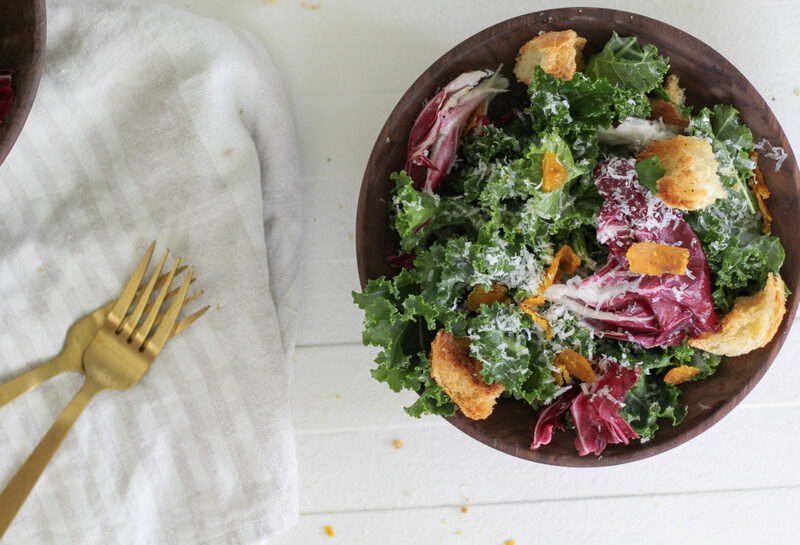 Just like anchovies and Parmesan, the bottarga adds a layer of umami that makes Caesar dressing so addictive. 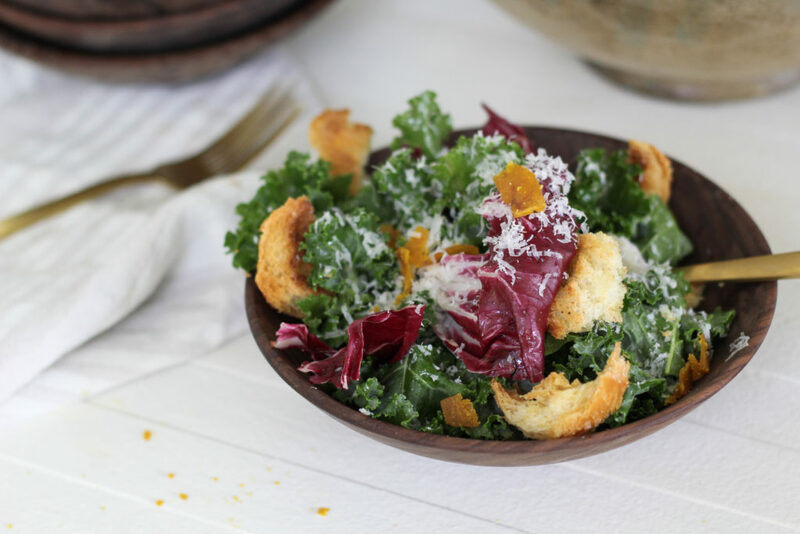 Toss it with tender kale and radicchio and rustic homemade croutons, then grate the bottarga into magic gold flakes all over the top. That’s some fancy mullet. 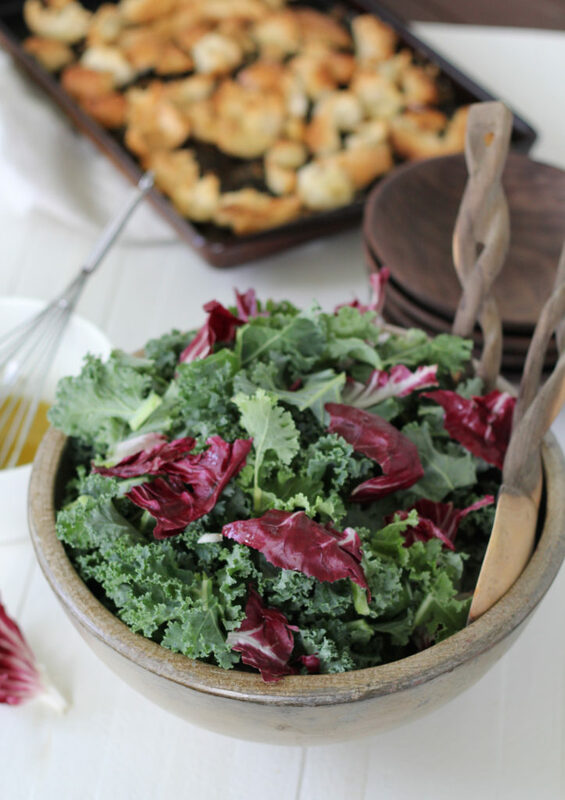 Put the kale and radicchio in a large salad bowl and set aside. 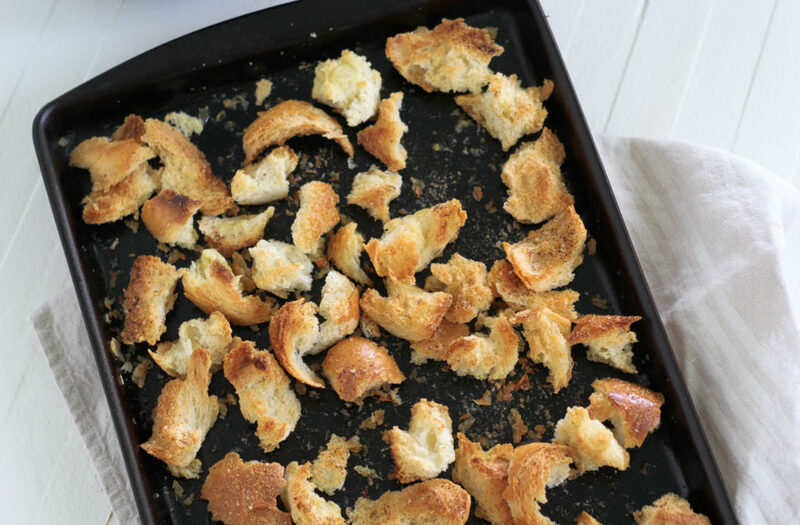 Toss the bread with olive oil on a baking sheet. 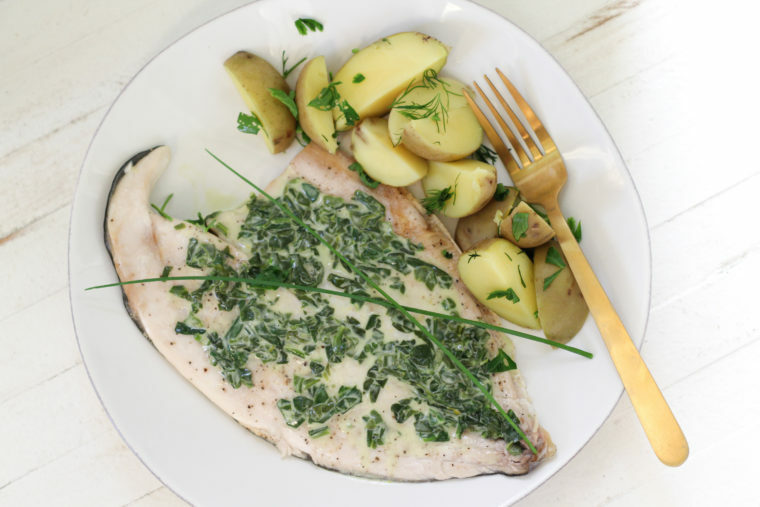 Season with salt and garlic powder, toss again. Bake for 6-15 minutes, stirring once or twice, until golden and toasty. Set aside. Combine the bottarga, garlic, and salt in a bowl or measuring cup. 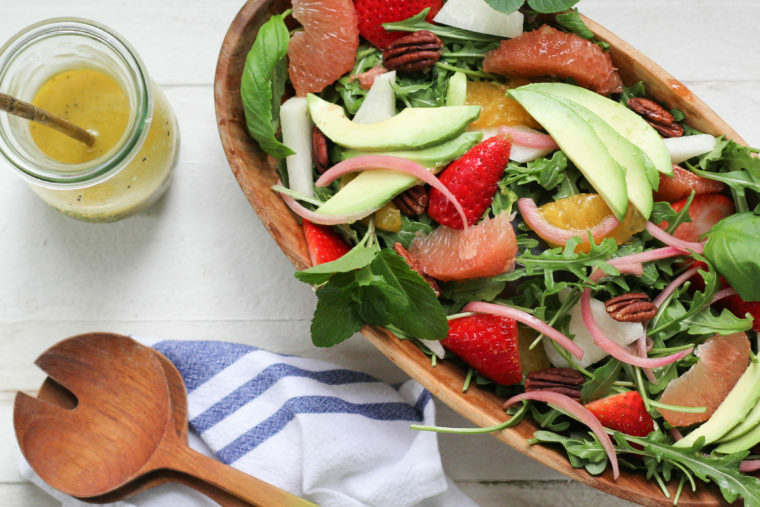 Use the back of a spoon to mash everything together. Whisk in lemon juice and Worcestershire. Add mayonnaise and mustard; whisk well. Slowly drizzle in the olive oil while whisking. Once emulsified, pour over the kale and radicchio (you don't have to use it all) and toss well. 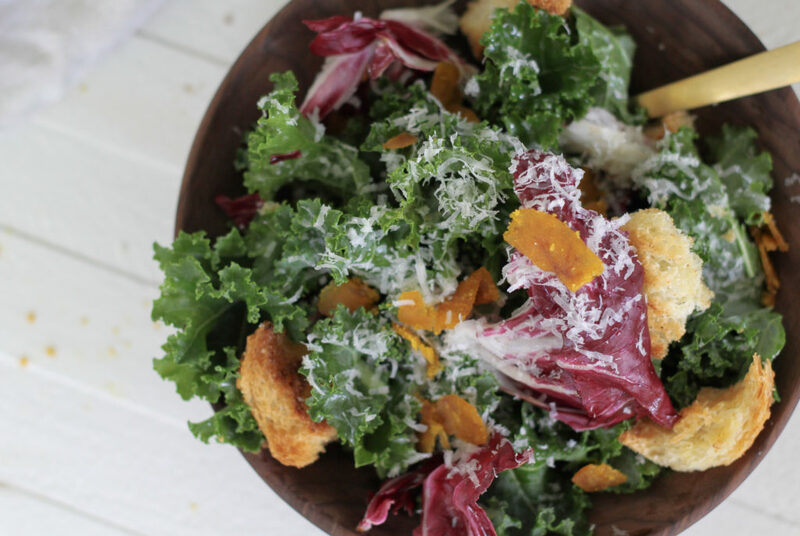 Add the croutons along with grated bottarga and Parmesan cheese, toss again and serve. Hope I get to try some during my next visit! You can and I think you’re going to like it.